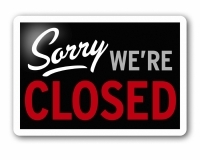 We are closed round here while life’s occurring. Whilst you can, no doubt, in the fullness of time, set up your business so that it works without you, in these early stages it can’t. So no apologies are needed about being a no show, you must go off and prioritise what’s important – nay vital – to you and yours, health and wellbeing. Don’t try to work as well, except if you really feel you need to for your sanity. Take a complete break or work part-time. Only you can decide what’s right and be prepared to experiment. And allow for more or less time being available depending at what stage you are in any of these challenges which life just throws at us, often unbidden. When I’m sick, which is fortunately rare, I take to my bed and re-schedule clients as I must. When my parents died, I think I had a clear fortnight off each time, though for sure it took me much, much longer than that to process my grief. I am slightly addicted to my digital connections on holiday, though I’d be better off giving myself a complete break. Feel empowered to make your own choice knowing that whatever you decide is absolutely fine. Do not make it worse by feeling you are letting me or yourself or our group down. That is an hallucination. Simply go off and do and be whatever you need in order to be well and whole. We’ll all be still here when you get back, happy to see you again and delighted to have you back, as will your clients and colleagues and contacts be too. However, if I think you’re hiding, you will get a timely and well-worded email from me, encouraging you back to work. I have a bit of a nose for people keeping a low profile and an intuition when you’ve been doing that for long enough. See you soon. Everything’s unfolding perfectly. All is well.